There are many reasons to go to a Kia dealership in your area, rather than trying to deal with a private seller or go through a faceless website with seemingly random vehicle listings. A local dealership has roots in your community – to us you are not just a customer, you are a neighbor, friend, or family member right here in Freehold. Whether you found us by searching online for “Kia dealership near me” or you were recommended by a friend who bought from us, we are excited to help you in any way we can. We understand that for years the idea of buying a car has been synonymous with stress, dishonest tactics, and seemingly endless hours of paperwork and frustration. Every aspect of our business, however, is designed to cut through all those headaches, help you find just the right vehicle for your needs, and make sure you drive away happy. From the moment you step onto our lot, or just peruse our inventory online, we want to make sure you are always satisfied with the experience and in control of your car-buying process. Our knowledgeable, friendly staff is here to help you any time you need, whether you are unsure of what model is right for you or you are worried about financing. And when you drive away with your new vehicle, we’re not done working together and building our relationship with you. Our Kia-certified service professionals are here to help you with routine maintenance and service, any repairs you might need, or to answer your questions about the features of your Kia. If you are interested in a brand new Kia, then we are the Kia dealership near you to choose since we have a huge selection of brand new models. Whether you are interested in a four-door sedan or a luxurious SUV, we have numerous models and trim levels on-hand for you to choose from. We pride ourselves on our selection of vehicles – after all, a proper inventory is one of the most important aspects of any vehicle dealership. While plenty of our customers arrive with a sense of what they are looking for, we also have a number of people come to our lot without a firm idea of what they want. One of the advantages of going to a Kia dealership near you rather than looking online is that we have a knowledgeable staff here to help you figure out the right vehicle for your lifestyle. No feeling can quite match that sense of satisfaction as you drive away with the perfect Kia, and we’re here to make sure you feel that way at the end of your visit. If a brand new Kia is not the right option for you, then we also have a great selection of used vehicles to look at and choose from. There are plenty of reasons to choose a used Kia over one that is brand new – not only financial ones but also concerns for the environmental impact of a vehicle. By picking a used Kia, you can save money but you also know that you are keeping that vehicle on the road longer, which offsets the impact of manufacturing it in the first place. We know that you have a lot of options when you are looking for a used Kia, which is why we pride ourselves on being your best choice. While it is true that you can probably save some money by buying from a private seller, that leaves you with little peace of mind if something goes wrong. 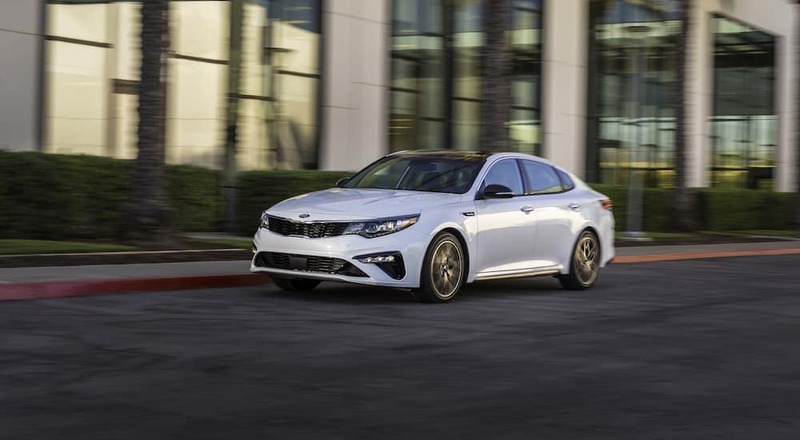 By choosing us as the Kia dealership near you, you know that if any problems arise we will be here to answer all your questions and help you in any way necessary. Plus, we will still be here when you are ready for your next used Kia. If you do not want a brand new Kia, but you also want to have some of the purchase protection that a new vehicle affords, then you cannot beat a certified pre-owned Kia. This is one of the best reasons to choose us as the Kia dealership near you to buy a vehicle from, rather than going through a private seller or random website. All of our certified pre-owned vehicles have gone through a meticulous 150-point inspection by Kia and had any necessary servicing or replacements performed on them. For a Kia to be certified pre-owned, it cannot be more than 5 years old and must have no more than 60,000 miles on it. When you choose a certified pre-owned Kia, you get an unbeatable 10-year/100,000-mile limited powertrain warranty beyond any warranty the Kia may have had when it was brand new, as well as 12 months or 12,000 miles of Platinum Coverage from the manufacturer. Choosing a certified pre-owned Kia also comes with 24-hour roadside assistance, including towing, rental, and travel breakdown coverage. But our relationship with you does not end when you drive away in your new or pre-owned Kia. Being the best Kia dealership near you is about more than helping you and making a sale – it is about a lasting bond and providing you with any help you need for years to come. That is why we have fully trained, Kia-certified service professionals who can perform any maintenance you need, help you order parts, and answer questions you might have about your vehicle. There is something comforting about knowing all your Kia needs can be handled at one location. The most important thing to us, from the moment you first walk onto our lot, to when you drive away in your new Kia, and beyond, is that you are completely satisfied with your experience. We want to make buying a vehicle an enjoyable experience that you are happy to tell others about. 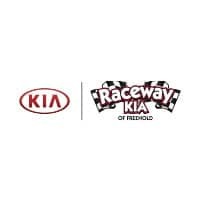 At Raceway Kia, we strive every day to be the best Kia dealership near you – every decision we make and principle we follow as a business is guided by that desire. We never rest on our laurels – no matter how many awards we win or times we are recognized by Kia, we always push to do better and find new ways to improve. You don’t have to take our word for it though. As a Kia dealership near you, you can come to our lot, meet with our knowledgeable and friendly staff, and discover a different kind of car-buying experience for yourself.